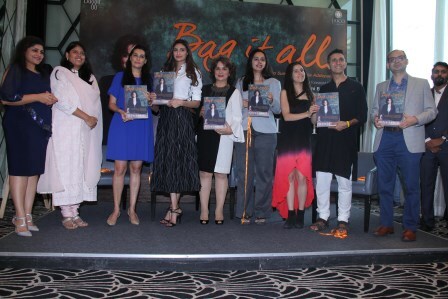 Nina Lekhi, Founder, MD & Design Curator launched her book, Bag It All with celebrity star Athiya Shetty today. 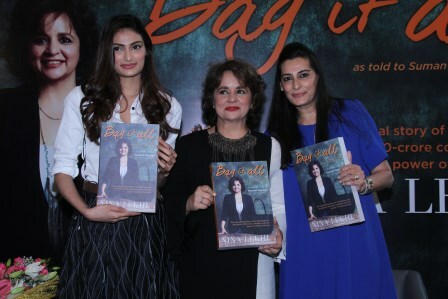 After collating accolades from the industry on being the most loved bag brand of the industry and receiving several awards for her business acumen, the spirited entrepreneur launched the book that marked the completion of over 25 years of business. 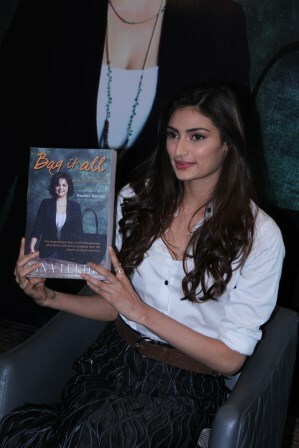 The book recounts her inspirational and challenging journey from a failure in college to a 100 crore company that was built with the power of love and intent. 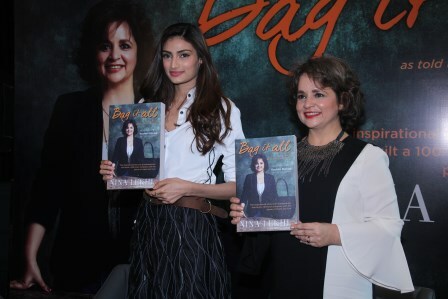 The event saw an interesting dialogue between Nina and Athiya as they shared favorite passages, recounted old stories and advice for entrepreneurs filled with encouragement, grit and determination. Nina’s “Never Quit Attitude” has always set her apart. As you will read in the book, she was one of the first home grown women entrepreneurs in the country to take the big risk from being a small ghar ka business to a store to retail that has now grown to 47 EBOs and 300 multi brand retail stores across the country. Breaking stereotypes and setting new standards in the industry and in the world of entrepreneurship, has been a way of life for her. She chose to take the road less travelled and today when looking back on that journey…has an inspiring and interesting story that she hopes will inspire others to move out of their comfort zone and be more.